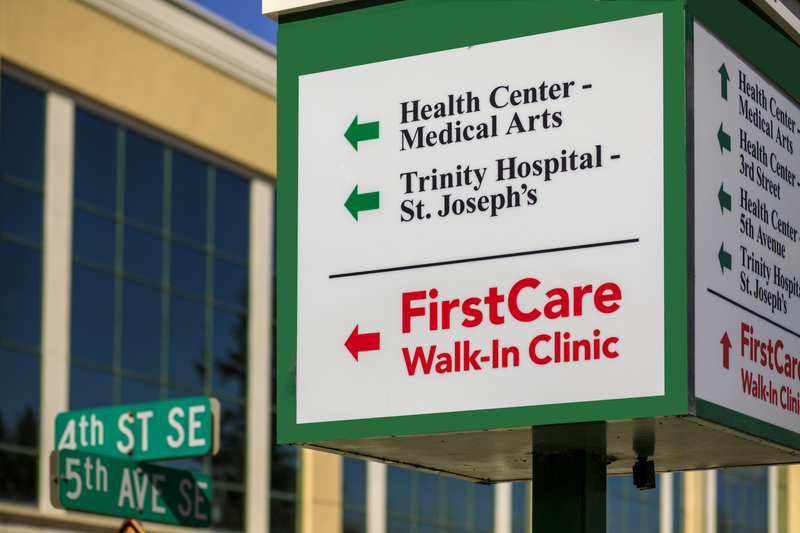 Trinity Health’s FirstCare Walk-In Clinic puts you first by providing walk-in care with no appointment needed. Staffed by Trinity Health physicians and nurse practitioners, FirstCare Walk-In Clinic provides access to pharmacy, lab, and imaging services for patients of all ages. The FirstCare Walk-In Clinic is located at Health Center-Medical Arts, 400 Burdick Expressway East, Minot ND open seven days a week, from 8:00 a.m. to 8:00 p.m., Monday-Friday, and 9:00 a.m. to 5:00 p.m., on weekends and holidays.